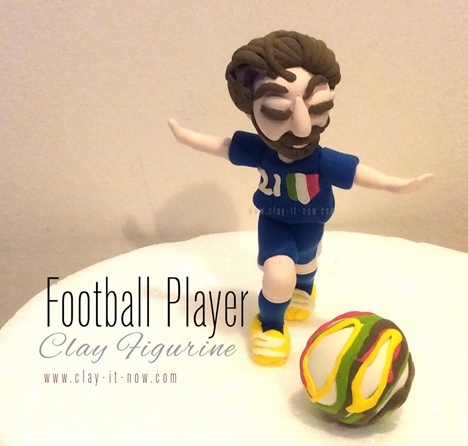 My football player figurine inspiration came from Italy football team player, Andrea Pirlo. Some of you might be smiling now or scratching your head thinking hm....it doesn't look like him at all. Someone said he can only recognize him because of the beard on the figurine face. But, he thought it is very original and cute. What do you think? By the way, I am sure that anyone who like football would be happy to receive this figurine as a gift. No worries! I have a tutorial for you. Just change the color of the costume to the one you like and you'll have your favorite football team figurine. 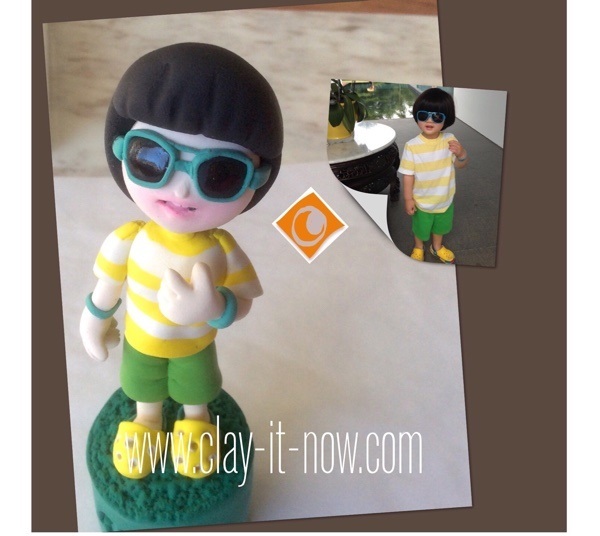 Or, find more info about creating character or mini-me figurine at my page, clay characters for kids. First of all condition your clay until it's warm and soft. I Crayola model magic for this figurine. 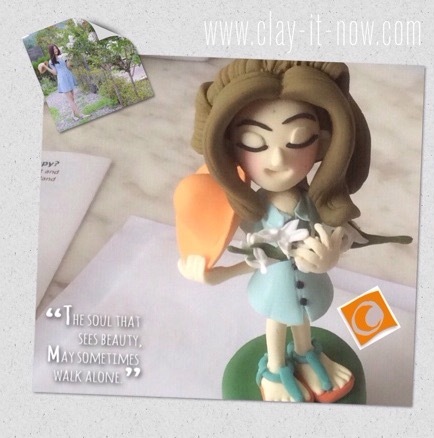 Other type of clay good for this is Makin's air dry clay, sculpey, FIMO oven-baked clay and Cloud clay. Check out our store to find the clay you are comfortable to work with. 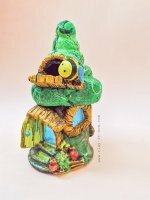 You could also check out my modeling clay recipes for home-made clay. Roll the blue clay to a sausage shape with length about 5 centimeter. This would be the short pants. 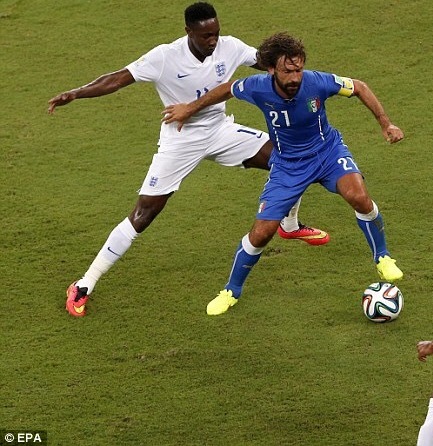 Bend the sausage in the middle and position the leg like someone is walking. Add tiny white stripe at the side of the pants. And, use your ball clay tool to slightly make a hollow at the bottom of the two ends. Roll the clay to a ball shape and then a rectangular shape for the player's body/ shirt. Flare the bottom part and indent the top part for the neck. Attach the shirt to the pants. Next, roll small pipe shape, cut to two at about 1 centimeter each. This would be the sleeves. Attach the sleeve, one to the right of the body and the other one to the left of the body. Then attach the arms/ hands to the sleeves. Roll your blue color clay to two pieces of tapered pipe shape to form the lower part of the legs/ socks. The wider part would be the top part. Press this a little bit with your clay ball tool. And then bend the narrow part to about 90 degree. I used bright yellow color for the shoes. Start with the sole and then wrap another flat clay shape around the sole. Leave this until it's dry and strong enough to support the weight of the player's body later on. Next we can add the knees to the short pants. I bent the right knee to 90 degree and keep the left knee straight. Choose the country's flag you like for the pocket. And, attach the lower legs/ socks to the knees. Support your figurine with tissue and leave it until it's dry completely. Finally, insert toothpick to the upper body part and attach the head to the body. You have your football player figurine now.